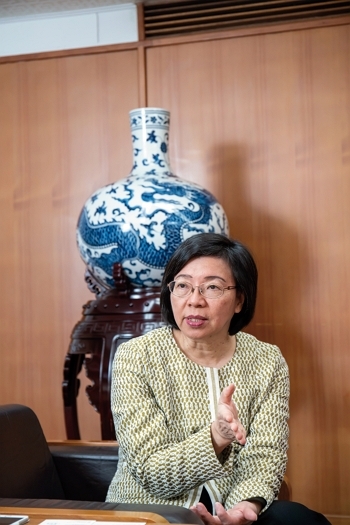 NCL director general Tseng Shu-hsien, the first woman to lead the institution in its 80-plus years of existence. This is the National Central Library (NCL), Taiwan’s highest-ranking book depository. 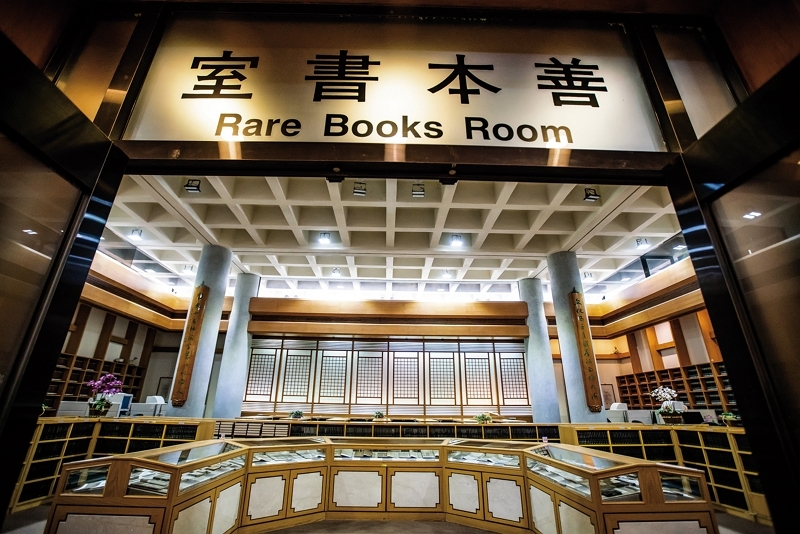 Since 1944, it has been responsible for the international exchange of the Republic of China’s publications. 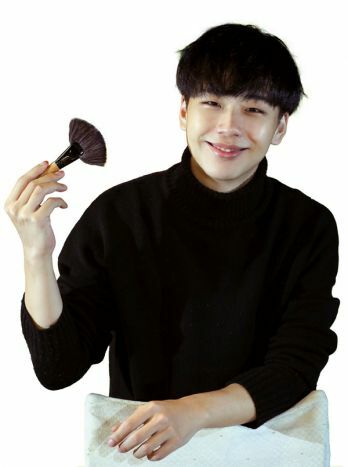 Having undertaken seven decades of such interaction worldwide, it has collaborated with 606 bodies in 87 countries, such as national and university libraries, academic institutions, international organizations and centers of sinology, to facilitate the exchange and collection of various publications. Why establish Taiwan Academies or Resource Points abroad? After the May Fourth Movement, advocates of the movement strove for so-called “total Westernization.” Western-style democracy, science, literature and art all became mainstream. But for continuous adaptation to environmental change, civiliza­tion—like biological evolu­tion—requires the convergence of diversity, inspira­tion from fresh ideas and the nurturing of new life. The same is true of culture. As stated by the Swedish sinologist Kristofer Schipper: “Culture brings exchange and exchange brings culture.” During the late Ming and early Qing dynasties, “China fever” swept Europe and missionaries such as the Italian Matteo Ricci, German Johann Adam Schall von Bell, and Flemish Ferdinand Verbiest arrived in China. Fluent in Mandarin, they were able to gain entrance to the court’s inner power center and frequented scholar-officials. The missionaries brought Western technology to China, while introducing ancient Chinese classics such as The Analects and Tao Te Chingto European high society and intellectual circles. Neither sinology nor “Chinese culture with ­Taiwanese characteristics” is the private property of ­Chinese people. Like Western culture, they are treasures to be shared by mankind. Unceasing interaction between East and West has frequently disrupted the inertia of rigid thought, and facilitated mankind’s ability to deal with our rapidly changing world. At a time when a bevy of voices warn that “AI will soon replace mankind,” such exchanges have taken on greater significance. It is now more urgent and crucial than ever to abandon an insular stance, plant our feet on the international stage, and carry the torch of sinology across the globe. Due to the political needs of the Cold War, particu­larly those of the United States, over the last half century there has been an upsurge in China-related analysis. Sinology has broadened from a focus on tradi­tional Chinese classical canons, to include research into China proper and regional studies. Add to this China’s three-decade-long economic boom, and sino­logy—or “China studies”—has become a popular cross-­disciplinary field in its own right. With mainland China’s reform and opening in the eighties, researchers flocked to the mainland to learn from its experience. Taiwan, in its Cold-War role as torchbearer for traditional Chinese culture, was thus threatened with marginalization. Taiwan has always possessed, however, a certain importance and irreplaceable advantages in the flow of exchanges between the cultures of East and West. Taiwan still employs traditional Chinese characters, retains many ancient and original manuscripts and cultural relics, enjoys an atmosphere conducive to free speech and ­publishing, and does not conduct censorship, and its people dare to challenge authority. Given these priceless treasures, if Taiwan were to fail to bring them to the world stage, this would represent a huge loss for Taiwan itself, for East-West inter­action, and even in terms of global progress. Although the number of Taiwan Academy sites has not increased since 2011, the NCL’s director general, Dr. Tseng Shu-hsien, recognized the importance of highlighting Taiwan’s contribution to sinology on the world stage. 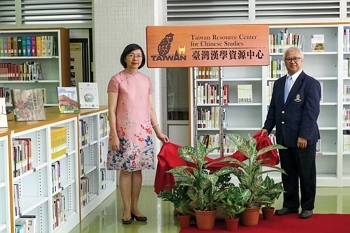 In order to persevere with the stewardship of the library’s concept of overseas promotion of “Chinese culture with Taiwanese characteristics,” and with support from the Ministry of Education, the library utilized the exchange of publications as its foundation for establishing the library’s own brand, “Taiwan Resource Centers for Chinese Studies” (TRCCS). Beginning with Tseng’s personal inauguration of the first TRCCS at the University of Texas at Austin on Novem­ber 5, 2012, she has led her colleagues to venues in the United States, Europe, Asia and Oceania, where they have planted the TRCCS flag and established resource library sites comprising Taiwanese publications and items from the National Central Library’s plentiful collection. Going interactive: Technology has given new life to the Song era’s Annotated Poems of Su Dongpo. 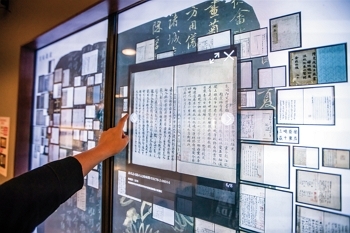 Visitors can zoom into the ancient tome’s content simply by tapping a finger on a touch screen. 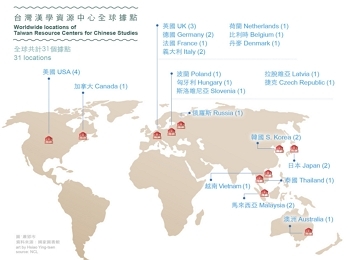 Over the past six years and more, the library’s pioneering cultural vanguard has proactively reached out to overseas scholars, and joined forces with Ministry of Foreign Affairs staff to successfully inaugurate 31 TRCCS sites. Besides establishing resource centers outside Taiwan, in response to technical innovation facilitating digital data the NCL has also constructed an international digitization platform. This platform shares its catalogue with bodies housing major sinology collections worldwide, thus permitting researchers in any location to access precious ancient tomes and documents via the library’s online platform. The NCL established a cross-departmental workgroup to supervise development of its collection, cataloguing, curation of special documents, digital system development, international cooperation, and operation of the resource centers and other organizations under the library’s manage­ment. 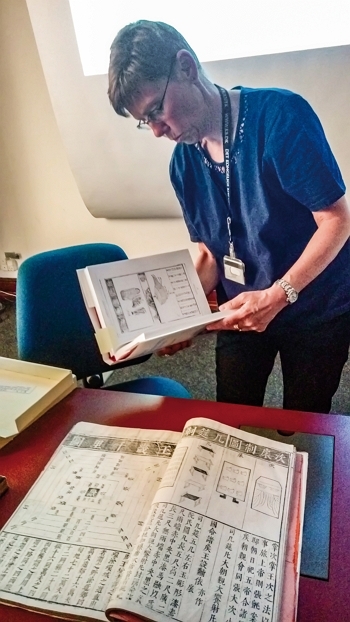 The NCL’s own collection of ancient books was digitized first; then, in 2008, it participated in the “World Digital Library” program, uploading digital images of some 160 rare books. In 2013, it took part in the “Inter­national Dun­huang Project,” for which it put digital images of 141 Dun­huang texts and annotations online. 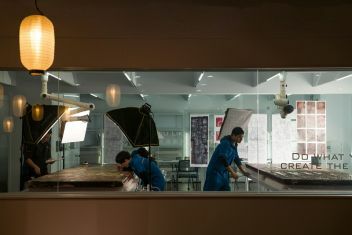 The NCL is the sole Taiwan-based body to take part in either of these world-class digitization projects. As well as participating in these prominent digital collection projects, the NCL has acquired digital rights from 80 libraries worldwide. This effectively grants the library access to a shared catalogue of digital images for more than 730,000 ancient books.